Here you will find the commercial van sales leaders in the United States for November 2017. Each month we compile the commercial van model sales data and reports for North American markets and analyze it to create the best selling list below. If you want more data, check out our last few months of data Commercial Van Sales in America – September 2017 or Commercial Van Sales in America – October 2016. Also check out our other Segment reports or dive deeper into commercial van Sales. For November, sales are up across Full Size and Small / Midsize vans, with the latter jumping 24.6% year-on-year. Year-to-date, however, the market for commercial vans in the United States is down 3.07% overall heading into the final month of the year. The Ford Transit follows on from October’s successes with its best November ever on record, as it looks set to end 2017 on a high, though it’s doubtful it will top 2016’s total for the year..
November is the anniversary of the Transit’s first year-on-year loss, which has accentuated the increase of 47.1% this November, but it’s still an impressive feat. 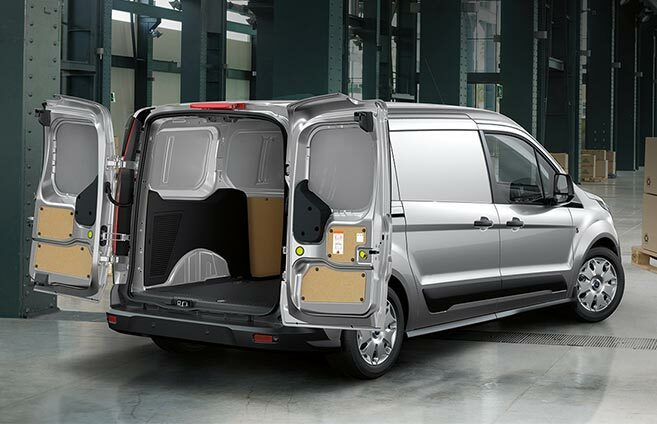 Add to that the Transit Connect and E-Series’ total and a whopping 52.6% of all vans sold in the US last month came with a blue oval on the front. General Motors vans make up 19% of sales for November, while FCA products take a more modest 10.5% market share for the month. Mercedes-Benz meanwhile captures 9.4% of the market, with Nissan an taking 8.3% increase across its two vans., up 0.3% from a year ago for the Japanese badge.